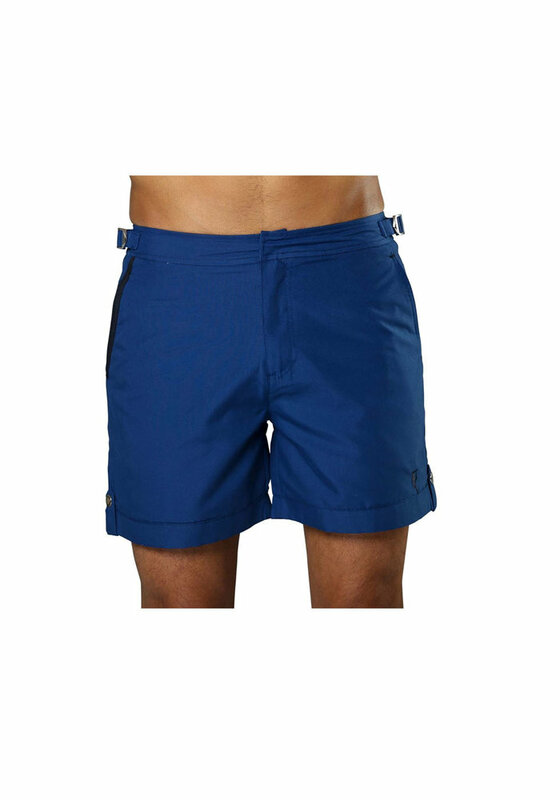 Sanwin Beachwear swimwear in dark blue. 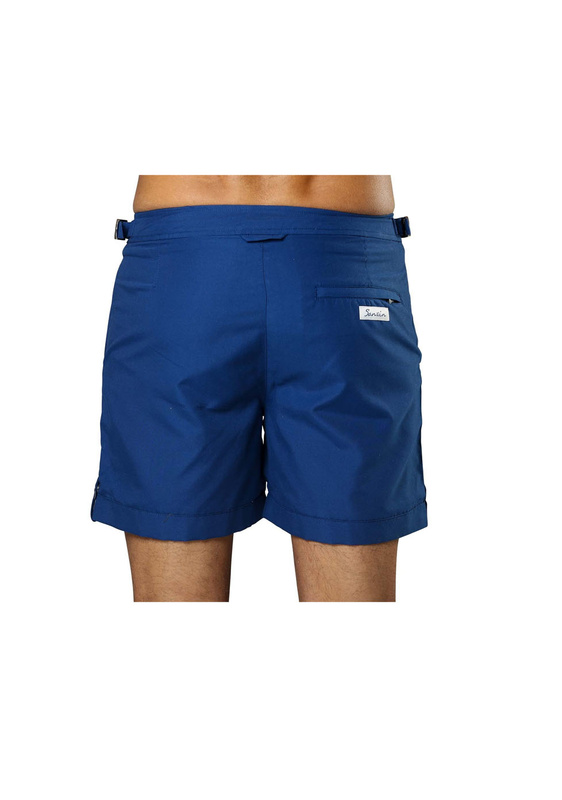 This Dutch brand makes quality beachwear and is designed in such a way that you can also wear the pants outside the pool or beach. 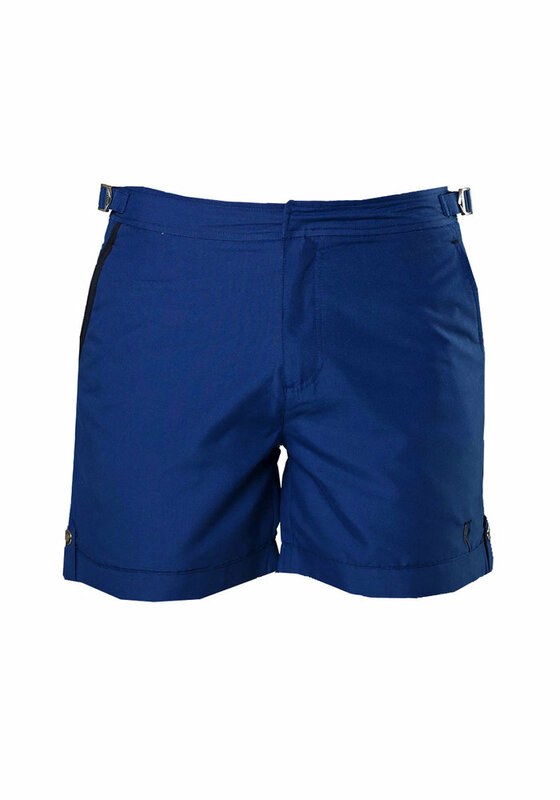 The Sanwin Beachwear Tampa Solid Navy Swimsuit has two slanted side pockets and a back pocket with zipper. 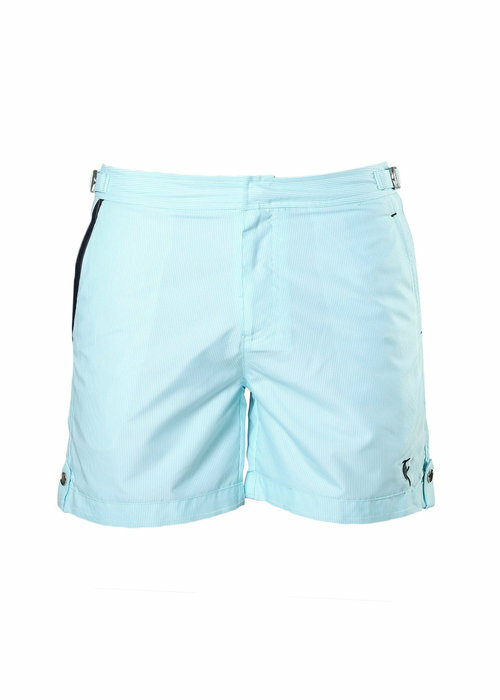 Each swimsuit comes with a storage bag in a matching print.